I saw an ad for this cooler recently and was super excited about it. I couldn't imagine a more perfect cooler for tailgating. 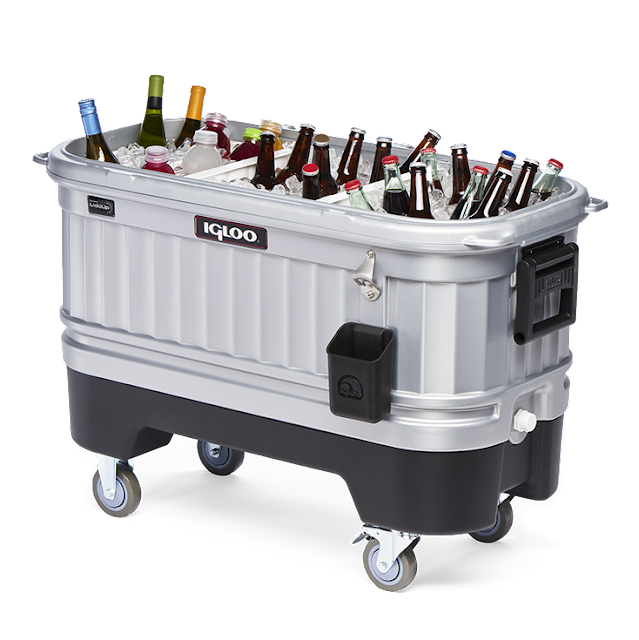 It has LED lights that illuminate the cooler’s contents. It has removable dividers, removable lid, locking casters, and a bottle opener. This cooler is truly a "Party Bar".